Gondola shelves have been the workhorses of just about every different type of retail store for many years, primarily because of their versatility and ease of use. They're capable of being changed frequently when you want to create a new, fresh look to your retail area. Modern-day gondolas have become lighter in weight yet just as strong as the older type and are now available in many colors other than the traditional white or almond. These types of shelves are normally two-sided and feature moveable shelves whose height can be adjusted to fit whatever items you want to display on them. The framework is often steel, making them very strong and durable and capable of supporting heavy loads. They're free-standing, and the center backing may be solid, slat wall or pegboard, providing numerous options for displaying a wide variety of products. 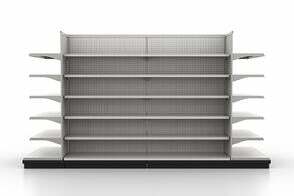 Are these shelves capable of displaying the products I sell to their best advantage? Do they fit in with my store's branding and the type of image I want the store to portray? Gondola shelves can be ordered in fixed lengths or variable and, though usually having a fixed solid base, they may also come with wheels or casters, making moving them about in your store as easy as possible. While most gondolas are made from metal and are fairly utilitarian in their look, you have options such as a serpentine gondola style that will allow your displays to look more unique and attractive than everything else that's out there. Short-length gondolas can be used at the end of a longer gondola run to create an endcap, and each gondola shelf run you create can be added to or subtracted from to change things up. Installing your shelf runs so that they stop at a wall can create a dead-end aisle. This is useful to help curtail shoplifting problems because customers are forced to reverse travel at the end of the aisle and return back into a central area that can be closely monitored. Pegboard or slat wall backs add lots of display options because you can mix and match pegs, hooks, hangers, baskets and brackets for attaching various other accessories. With all the options available, you can create runs of gondola shelving that are uniquely attractive and unlike those seen in most stores. 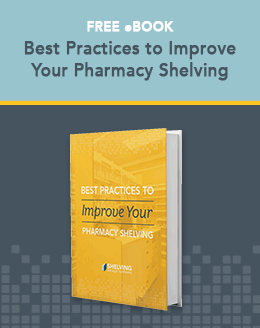 Make sure the shelving you use fits the available space you have to display your wares without looking cluttered or overwhelming the customers with too much "stuff." Gondolas are great for merchandising in your store's center area, but don't neglect the four corners and wall areas. A variety of wall units can be used here to tie everything together and create an environment of which you'll be proud.